It’s 1985, and rock star wannabe, Robbie Hart, is New Jersey’s favorite wedding singer. He’s the life of the party until his own fiancée leaves him at the altar. Shot through the heart, Robbie makes every wedding as disastrous as his own. Enter Julia, a winsome waitress who wins his affection. As luck would have it, Julia is about to be married to a Wall Street shark, and, unless Robbie can pull off the performance of a decade, the girl of his dreams will be gone forever. 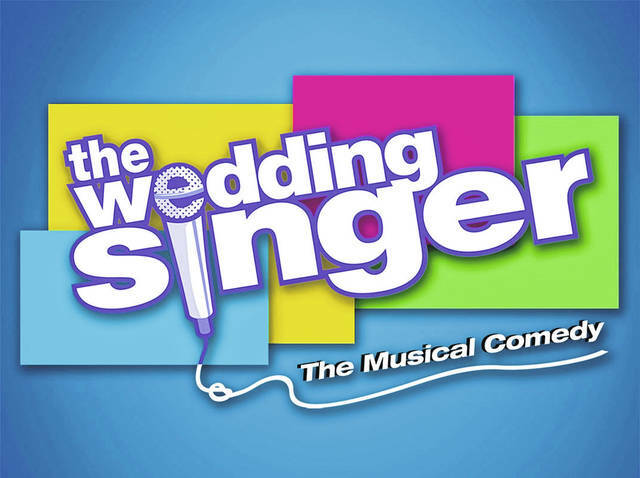 ‘The Wedding Singer’ takes us back to a time when hair was big, greed was good, collars were up and a wedding singer might just be the coolest guy in the room. Based on the hit Adam Sandler movie, The Wedding Singer’s sparkling new score does for the ’80s what Hairspray did for the ’60s. Just say yes to the most romantic musical in 20 years. Featuring a cast of 40 students, with starring performances by Josh Thompson, Deven Cannon, Bailey Mescher, and Dani Jenkins, and the work of roughly 25 student technicians, this musical is sure to make you laugh and fall in love. Please be advised, this show is rated PG-13 for some language, themes, and content. Tickets are $10 for adults and $5 for students and senior citizens. All performances are located at the community auditorium at Northmont High School, 4916 W. National Rd. Clayton. The performance will also feature a souvenir sale. For more information, or to reserve tickets in advance, email the Drama Club Director, Ranger Puterbaugh at rputerbaugh@northmontschools.net, or visit us at our website of northmontdramaclub.weebly.com to check out the online box office.